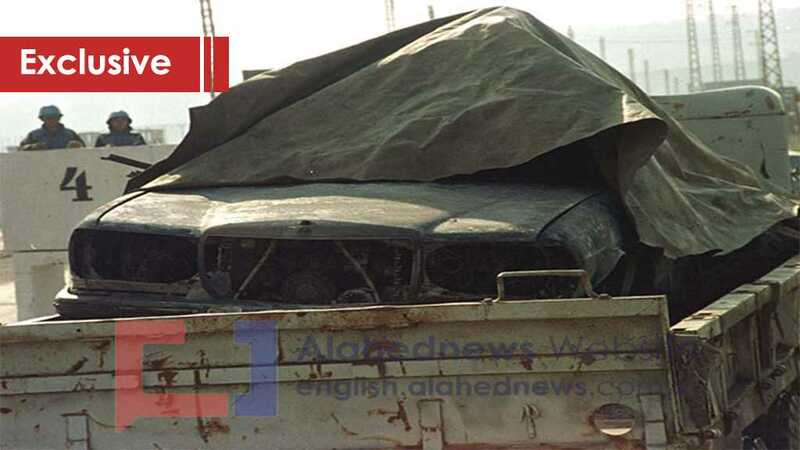 The story of the final moments of the commander of the Zionist forces in Lebanon, Erez Gerstein, who was executed by the Islamic Resistance in a qualitative operation on February 28, 1999, is told by those who lived it minute by minute. The Al-Ahed newspaper unveiled one of the chapters of the secret war that took place during the Zionist occupation of Lebanon. The following is the first episode. The other episodes will follow in the coming days. Brigadier General Erez Gerstein was one of the most prominent Zionist military commanders “and one of the best commanders in the field”, specializing in topography. He was the top “Israeli” military official in Lebanon. He participated in many acts of aggression against Lebanon. In 1982, he was the assistant to the then War Minister Ariel Sharon. He believed that the naval commandos were not a sufficient challenge for him. He repeatedly raided Nabatiyeh and the Beaufort Castle [Arnoun Castle]. He took part in the Battle of Beaufort, in addition to his raids on the tunnels of Naameh. He rose through the ranks. He was the commander of “Sirt Golani” that is the Special Forces and then commander of the Golani Brigade. In March 1998, he was appointed successor to Brigadier General Eli Amitai in heading the Southern Command of the Armed Forces (the commander of the liaison unit). Two months after assuming the post of commander of the Golani Brigade, his brigade suffered a severe blow. Seven soldiers were killed at the Aishiyeh site. At the end of his service at this post, five of his soldiers were also killed in Wadi Saluki. His car was hit by an improvised explosive device near the village of Al-Rihan. He miraculously survived. But on Sunday evening, 28 February 1999, he did not survive a larger explosion that blew up his armored vehicle. Three others, including an ‘Israeli’ radio reporter were also killed. The Islamic Resistance prepared the explosive device at the al-Khan-Kawkab junction. These were the final words of Erez Gerstein, the commander of the liaison unit in Lebanon and the top military man of the “Israeli” forces occupying southern Lebanon, who was speaking to a group of “Israeli”-affiliated militias in the town of Shebaa. This happened on the last day of the cold month of February. It was a warm morning unlike regular winter mornings. News of his arrival was widely disseminated moments before his convoy of three civilian bulletproofed armored vehicles equipped with heavy machine guns entered the town. The motorcade emerged from the heart of the dust storm. The sun was setting when the general got out of his dark-curtained car and entered a neighboring building to pay his respects to the wife of a fallen militia security agent and pay the price for his death. The widow was paid USD 50,000 within less than five minutes. The general left the dead agent’s house and waited in the middle of the road. “I carefully observed him after everyone was in my line of vision. His facial features shone under the shy winter sunlight. He was rudely moving amidst the soldiers, as if he had something he wanted to say quickly,” Malik sighs as he tells the story of his last meeting with Erez Gerstein. “Erez Gerstein was accustomed to recounting his military achievements. He presented himself as a hero in his wars against the resistance. He did not hesitate in his private conversations with his fellow officers to reveal his role in the attack of the Special Forces on the military headquarters of the Popular Front for the Liberation of Palestine – the General Command in the Naameh-Damour area to assassinate Ahmed Jibril. Back then he was the commander of the Golani Brigade and the spearhead. Malik takes a puff of his cigarette and adds: “After more than half an hour, the general left my house with his entourage. The phone was on my side. I had a strange feeling of responsibility and fear of what was coming at once. My anticipation for certain news included a mixture of fear and challenge. I even wished for a moment that he would die after one or two days. One of the Zionist analysts said during a live broadcast in an interview with the enemy’s television: “that he had to say that because of everything that happened, this was a pre-planned ‘attack’ on Brigadier General Erez Gerstein. It was not a coincidence. He was the intended target and they were doing research on him. This is because they broadcast his biography all the time. Since the first broadcast on Al-Manar TV in the afternoon, they spoke about Gerstein’s life in an archival documentary for 20 minutes. Of course, this is not an easy job to do in a day. 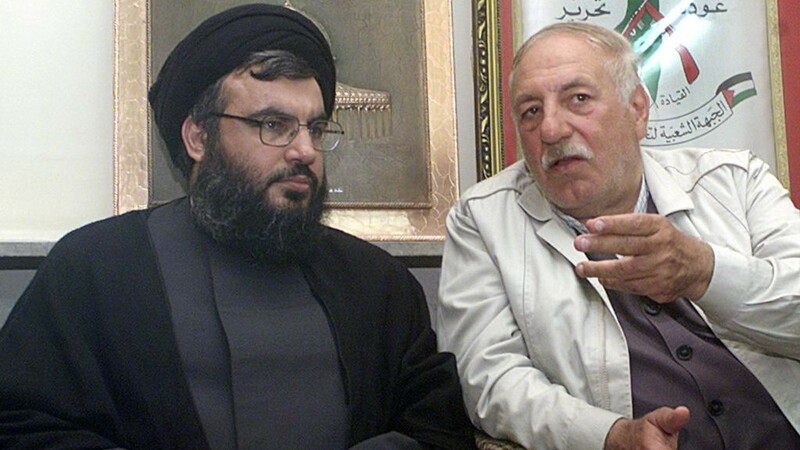 It is related to different events and tours he made during his work for a year since he took up his post, including material they record from “Israeli” television and based on Hezbollah’s information. What is more important is that the operation was carried out inside the “security zone” under “Israeli” control, and we know that Hezbollah has intelligence and informants inside this area. The elements collect and transfer this intelligence information to Hezbollah leaders in southern Lebanon. Accordingly, they plan to carry out their operations. In the next episode: Who is the Malik al-Saeedi? How did he infiltrate the agents’ militia and gained the confidence of the Zionist officers? The first lie detector was used in police circles in 1924. It is a traditional device known as the polygraph or multiple scripts. It is illustrated by a number of wavy lines on a sheet of paper. It monitors the “physiological” indicators, such as respiration, skin conductivity and pulse. It also requires the use of highly qualified experts. How to use a lie detector: The person being questioned sits on a chair. Two rubber belts are tied around his chest and stomach to measure the pattern of his breathing. A blood pressure monitor is also placed on his arm. His fingers are connected to a metal piece to measure the activity of the sweat glands. The test begins with asking simple questions to gain a standard for the indicators recorded on the polygraph. Then the subject is asked real questions to which he has to answer with Yes or No. This, while all his body indicators are drawn on a piece of moving paper. Before and after the test, charts can be seen on the moving sheet to see if there is a sudden and significant change in the indicators, such as a rapid heartbeat, increase in blood pressure, increased sweating, or others when answering a particular question. Researcher and director of the Federation of American Scientists Project, Steven Aftergood, said that the lie detector is a trick. It can easily be tricked by moving the feet or shoulders while giving any misleading answers to the interrogator’s questions as well as the constant thinking about disturbing matters that cause the subject to feel sad or upset during the session. Hence, the device can no longer distinguish between his worries and his misleading answers. Hundreds of Israelis have attended the funeral of a reporter killed in a car bomb attack in Southern Lebanon. Elan Roe was in a four-car convoy which was blown up by two bombs near the Israeli/Lebanese border at noon on Sunday. Brigadier-General Erez Gerstein and two other Israelis in the convoy were also killed.